The airport security lines are long with no end in sight. Is there a way to cut your wait time? If you are traveling outside the United States, Global Entry, a pre-approved U.S. Customs and Border Protection (CBP) program for low-risk travelers, will help you move swiftly through the lines upon re-entering the United States. You apply online and pay a $100 non-refundable fee, undergo a background check, and participate in an in-person interview at a Global Entry Enrollment Center. While it is intended to expedite your re-entry into the United States, it is no guarantee that you won’t be selected for further scrutiny upon your return. The program is available at major United States airports, but not all airports. Check here for select airports. Global entry members are pre-approved for TSA Precheck; the membership fee for this program is $85, so for the additional $15, you get Global Entry too. Use the TSA Precheck for domestic travel and when you depart from a U.S. airport to a foreign country. To expedite your return from a foreign country you’ll need to use Global Entry. 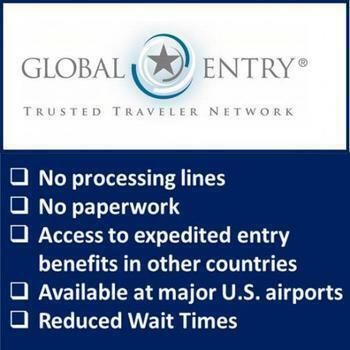 Global Entry provides access to expedited entry benefits in other countries if they are available. According to the Department of Homeland Security, they envision the further development of reciprocal Global Entry programs with additional countries, and their conversations with foreign partners are ongoing. 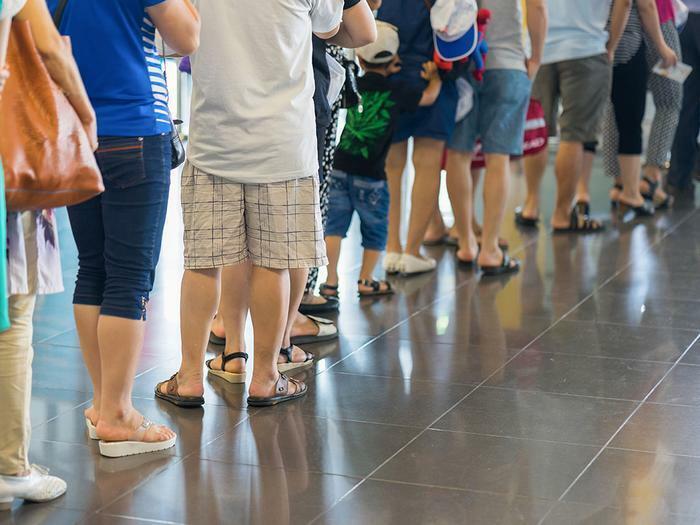 Avoid the long lines for passport control and make your way to the Global Entry kiosks. Scan your passport or U.S. permanent resident card, position your fingerprints on the scanner for fingerprint verification, and complete a U.S. customs declaration. Take the machine-generated transaction receipt and proceed to baggage claim and the exit. If your receipt has an “X,” you must report to a CBP officer in the passport control booth. They’ll review your documents to determine the reason for the "X" and either release you or refer you to "secondary" for additional processing. If your receipt has an "O," it indicates you’ve declared something. Collect your luggage and continue to the exit where you’ll meet with an officer to discuss your declaration. Global Entry membership is valid for five years. You’ll find your program membership expiration date on your Global Online Enrollment System (GOES) home page. You are eligible to renew your Global Entry membership six months prior to its expiration. If you do not renew your membership and it expires, you will need to reapply. Your membership can be revoked if you are proven guilty of a criminal offense, charged with a customs or immigration offense, or declared inadmissible to the U.S. under immigration law. If you take just one trip outside the United States annually, the convenience of Global Entry is worthwhile.